No Frills is giving away awesome prizes in their Now or Never Contest! 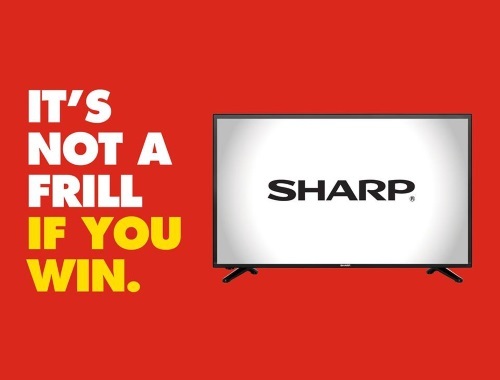 Enter to win a 32" Sharp TV! To enter to win just "like" the post at the link below and comment with your must-see TV show! Contest closes November 19 2017. The contest is on the No Frills Facebook Page, not sure why some people are having trouble accessing the link below, it works for me.